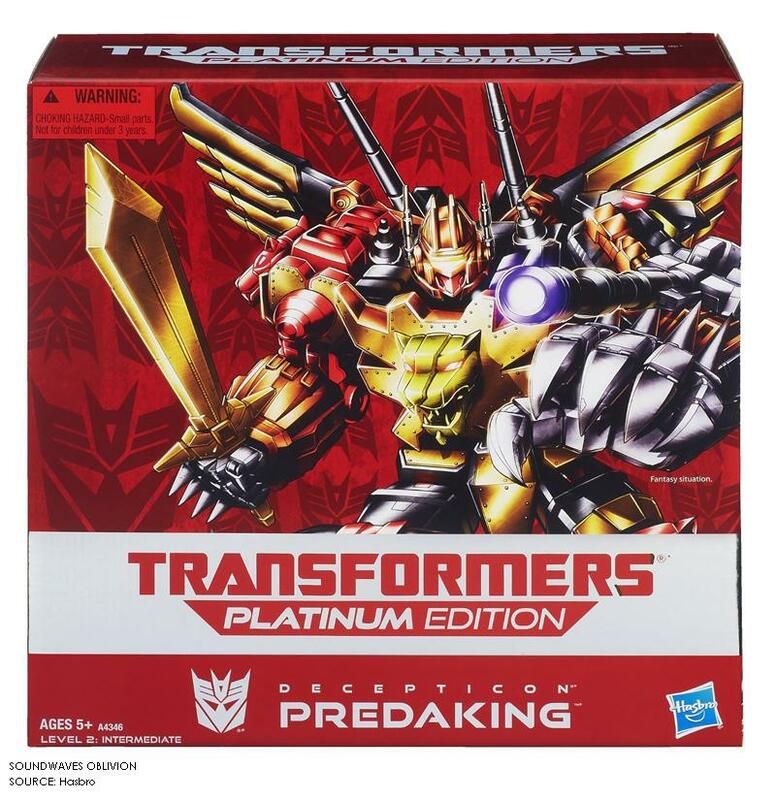 Optimus Prime Packaging identical to the 2002 Commemorative series reissue without the Commemorative series name. Comes with Transformers Universe 2008 light grey trailer. The Cab is the mould from Takara Tomys 2011 Chronicle reissue of Convoy but with short smoke stacks. 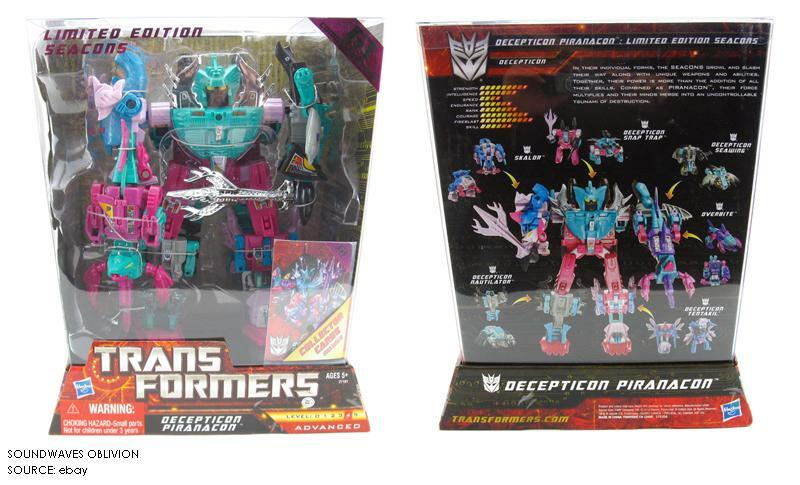 Ultra Magnus Packaging identical to the 2002 Commemorative series reissue without the Commemorative series name. The Cab is the mould from Takara Tomys 2011 Chronicle reissue of Convoy but with short smoke stacks. 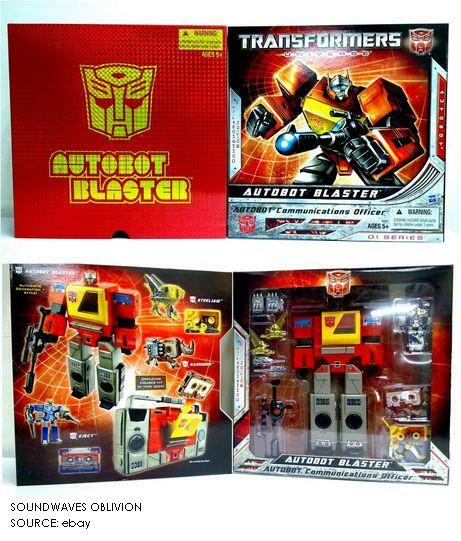 Optimus Prime Packaging near identical to the 2003 Powermaster Optimus Prime but loses the "Powermaster" and "Apex Armor" and "Commemorative Series" names. The box no longer has the flap with the box art of God Ginrai. Held in place with cardboard twist ties. Side Swipe Near identical to the 2004 Commemorative Series side Swipe but the warning label is now in a black box instead of a red box. Rodimus Prime Near identical to the 2004 Commemorative Series Rodimus Prime but the box now has a black warning label on the front. Decepticon Astrotrain Packaging identical to the 2005 Commemorative series reissue without the Commemorative series name. Comes with a warning label in white on the front of the box. Astrotrain has now been renamed as "Decepticon Astrotrain".